This body lotion feels totally high-end. It is described as a "serum-milk for ideal skin quality, continuous hydration, harmonized skin tone, firmness and smoothness." The ingredient list includes Hyaluronic Acid to plump up dry skin, a variety of oils for nourishment, and LHA to refine pores. I love the slight sheen that this moisturizer leaves on my skin, thanks to mother-of-pearl particles. The scent is also lovely, sort of powdery and floral-fresh. That light and silky texture is rich, and not liquidy, which is just perfect for my sensitive skin. I experience no dryness, oiliness or itchiness, so I keep reaching for the beautiful blush pink bottle. I completely agree with the description that says how this milky serum melts into the skin to be easily absorbed, while leaving a firmer and more even texture to your skin overtime. This body wash is great. Not only do I like the simple tube packaging, but the "no-soap" formula is a total winner for me. My skin is prone to breakouts and ingrown hairs, so this comforting and light wash foams up with minimal product, and gets the job done without stripping off all oil. I'd definitely consider repurchasing when it is on promotion at Shoppers. 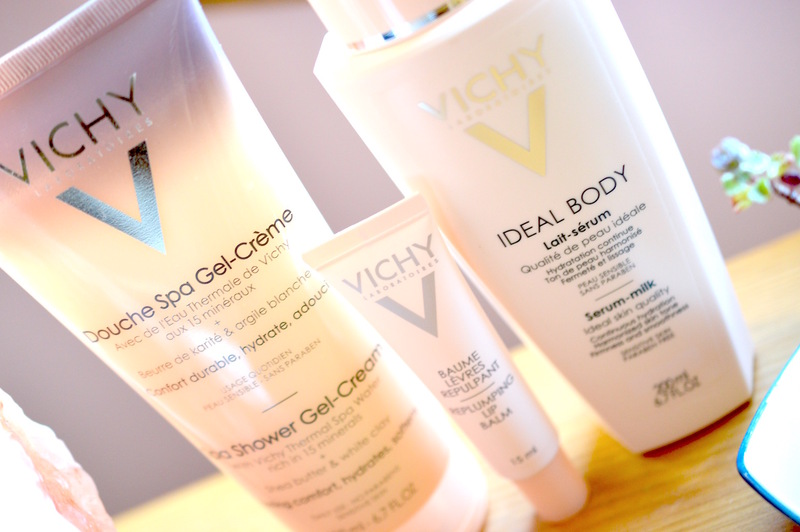 Though the packaging is so smooth and sleek, appearance isn't everything. This lip balm is so fragrant, which means I'll only use a bit of it before bed. I'm very sensitive to the taste of sunscreen and floral fragrance, so I'm sad to say that this balm isn't a favourite. All things considered, the shea butter, beeswax, and macadamia oil formula is nice, proving to be non-greasy, non-sticky, and good for maintaining lip moisture overnight. 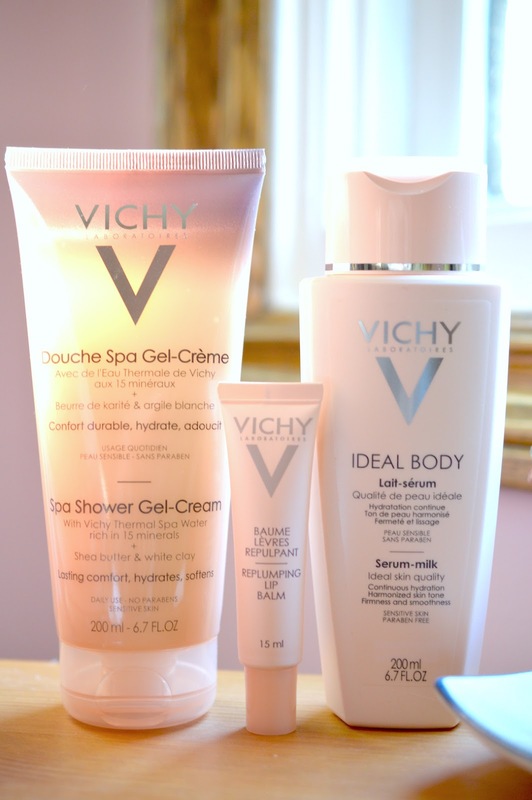 I'm really happy that the majority of these Vichy products are so high quality, and quite reminiscent of a brand like Lancome or Dior. The fragrances are beautiful and the textures are just right, making it a collection that I would recommend looking into. How beautiful would they be as a present? Products provided by the ChickAdvisor Product Review Club.